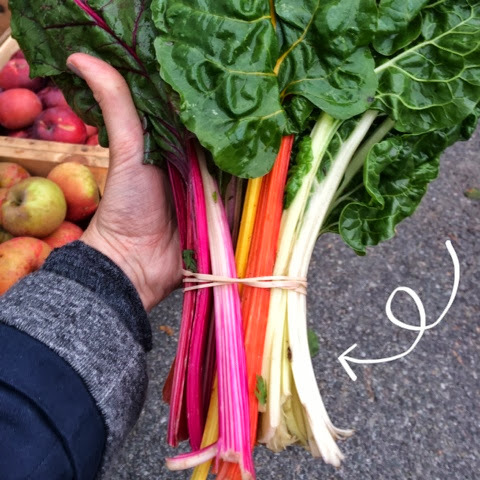 So remember that beautiful Swiss chard that we purchased at the Belmont farmer's market last week? Well now I have a tasty and easy pasta recipe to go with it. Remove the Italian sausage from the casing and cook until brown, drain onto a paper towel lined plate. In the same pan add about 2 tablespoons of olive oil and sauté the garlic, onion and red pepper flake until soft. 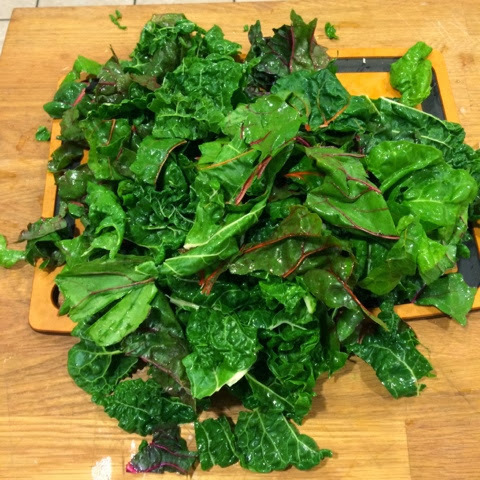 Add the chopped Swiss chard in batches until soft. Meanwhile, put a large pot of water to boil for the pasta and grate about 1/2 cup of Parmesan cheese. Once the water comes to a boil add the pasta, cook until al dente. Drain the pasta and add into the pan with the Swiss chard, onion and sausage mixture. Toss all together and stir in the Parmesan cheese to coat. Serve and enjoy! 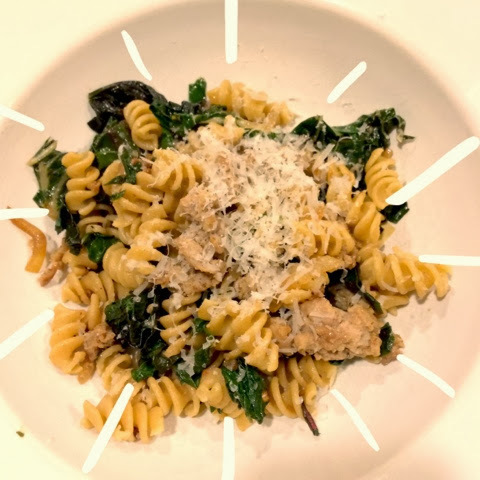 This is a great cool fall weather recipe and it is a nice mix up from the standard marinara and pasta. And the best bit is that it taste great the next day!